**UPDATE** – There are only a few days left to participate in this event. Please act now. Every dollar you donate goes to save lives. If you’ve been paying any kind of attention over the last few years, then you know that I am a supporter of Darius Goes West. For those of you that don’t know, DGW is a documentary film that has grown into a global grassroots movement to educated people about combat muscular dystrophy. DGW is currently raising money to help fund research to find a treatment or cure for muscular dystrophy through the Goslabi Challenge. Teams from all over the world are raising money by eating spoonfuls of wasabi (a.k.a. goslabi). I have started my own team, the P-town Goslabbers, with the goal of raising a minimum of $500. In order to do this I need 25 people, each with $20, willing to eat a spoonful of wasabi. To find out more about the Goslabi Challenge, click HERE, and to joing the P-town Goslabbers, click HERE. Watch this video for more information on the Goslabi Challenge. It was all too easy to crack jokes at the expense of Gary Coleman when he was alive. I know. I did it. But now that he has passed away at the age of 42, I have nothing funny to say. For a time, Coleman had what appeared to be a charmed life, enjoying superstar status on television in the late 1970s and on into the 80. But his star quickly faded, his life became a series of personal problems and tragedies that played out before the watchful eye of a fickle public that loves to worship its idols as much as it loves to tear them down. This society puts so much importance on residing at the top of some pyramid, where fame, popularity and riches are the measure of a person’s worth, and millions of people dream of sitting at the top of the pyramid. They want the lauded position of public acceptance so much that they make fools of themselves on television shows hoping for a brief moment of fame and love. Well, Gary Coleman had all of that, and look what it got him. His career, his life and his tragic death have gone from cautionary tale punctuated by a series of punchlines, to an American tragedy. I don’t know what is more sad, that Gary Coleman lived most of his life in the shadow of what he once was—the popular term is “has been”—and probably never had a chance to live a “normal” life (whatever that is), or the fact that so many people want to be Gary Coleman. Or at least what Gary Coleman was before it all fell apart, before his parents robbed him blind, before he was forever typecast as Arnold Drummond, and before he struggled to live a life outside the watchful eye of a public waiting to see what other jokes could be cracked at his expense. But this is the other side of what it means to be famous and popular and rich. All that we have and acquire can be taken away—sometimes a bit at a time, sometimes all at once—until eventually our lives end and it’s all over in this corporal state we call life. Is fame and fortune worth it if we are robbed of our dignity, and news of our death is met with a response recalling a catch phrase from a television sitcom? I would like to think that as a society we are better than that, but we aren’t. We helped make Gary Coleman what he was, and we also helped break him. I can think of plenty of people who would not have survived as long as Gary Coleman had they endured what he endured. And in his death, the least we can do is pay respect to a fellow human being who never had the luxury of having his flaws, weaknesses and personal tragedies hidden from the public. 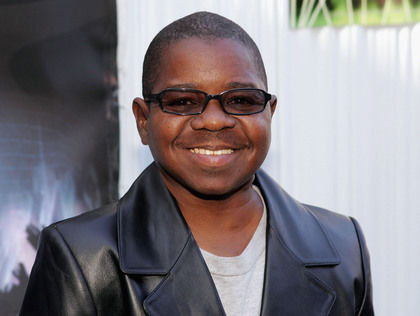 May you rest in peace, Gary Coleman. The second part of the documentary on the blaxploitation version of Star Wars has been posted. I was interviewed for this thing, and I’m disturbed by how fat I look. I was about ten years old when I was first introduced to the works of Frank Frazetta and Boris Vallejo. At the time, I preferred the work of Boris, simply because his paintings looked more “real.” During these formative years, “realisitic” simply equated to “better,” and to be honest, I simply didn’t know that there was more to art than creating photo realistic images of brawny barbarians and buxotic beauties. But then one day I really looked at a Frazetta painting, and I saw something better than real life. I saw movement and emotion and a vibrant interpretation of what life could look like, if you simply chose to look at it that way. It was through Frazetta that I began to realize an artist could and should do more than make something look real, they should make it look more alive than alive. To some, it might sound silly that my appreciation for art was cultivated by the work of a man who painted album covers for Molly Hatchet and the paperback covers of Robert E. Howard’s Conan books. It might sound artistically sacrilegious to some that I knew the names of Frazetta’s work before I knew the works of DaVinci or Van Gough. But that’s who I am. 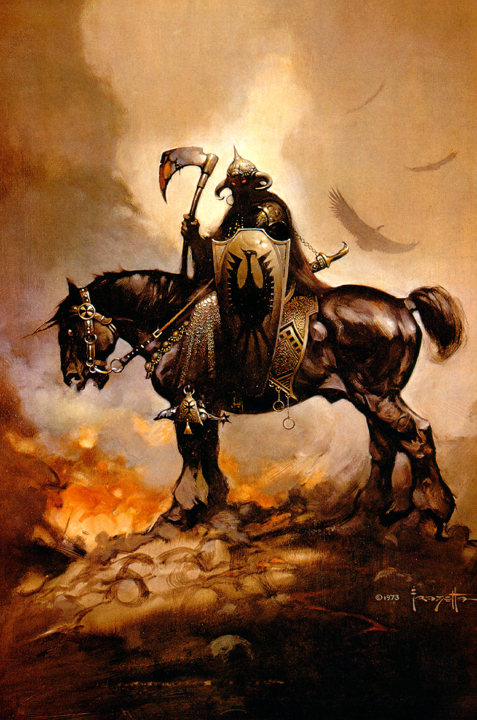 And thanks to Frank Frazetta, I see the world differently, may he rest in peace. 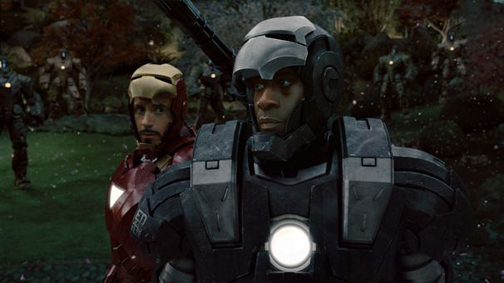 I saw IRON MAN 2 today. I enjoyed it, and would recommend it. But please, do not consider this a review. People ask me all the time, “What’s your mom like?” And I tell them, “My mom is nuts.” Think about it…it takes a crazy white woman to raise a militant black son (maybe if she’d been less crazy, I’d have been less militant, more committed to my studies, and could have been President of the United States). Oh well. It’s not her fault she’s crazy or that I didn’t study harder in school. Don’t get me wrong, because when I say she’s nuts, I don’t mean that she’s Lizzie-Borden-took-an-axe-gave-her-mother-40-wacks nuts. No, my mom is more of a free-spirited eccentric, an aging hippie who believes in the power of love, still hopes for world peace, and is fiercely committed to causes she believes in. That’s all part of what makes her so cool. I have so many great stories to tell about my mom, like the time she beat the crap out of that lady at the laundromat, or the fight she got into with the biker where she slammed his head against a tree, or the time she took me to see First Blood, and freaked out in the theater because she didn’t like what it had to say about Vietnam vets. But I’ll let her tell all those stories when she’s ready to tell ’em. And to be completely honest, my mom has her flaws, as we all do, but she is a great person that inspires me every day (she also drives me up the f**king wall every day). 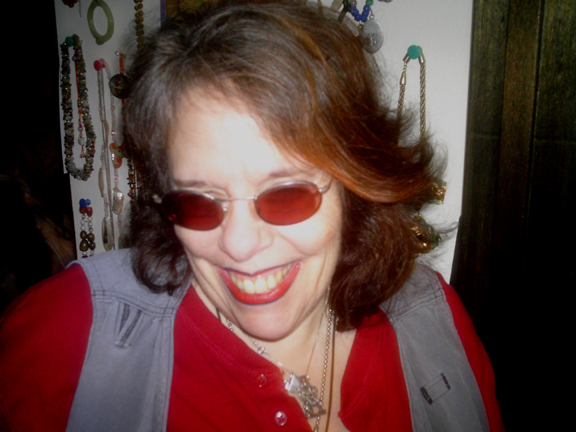 Today is her birthday, and I want the world (or at least anyone taking the time to read this) to know that she is my hero, my friend, and a never-ending source of inspiration. I love you, mom. You are currently browsing the BadAzz MoFo blog archives for May, 2010.